Where & When Are Rehearsals? FAQ. Got Questions? Get answers here. Getting Started - What Comes Next? 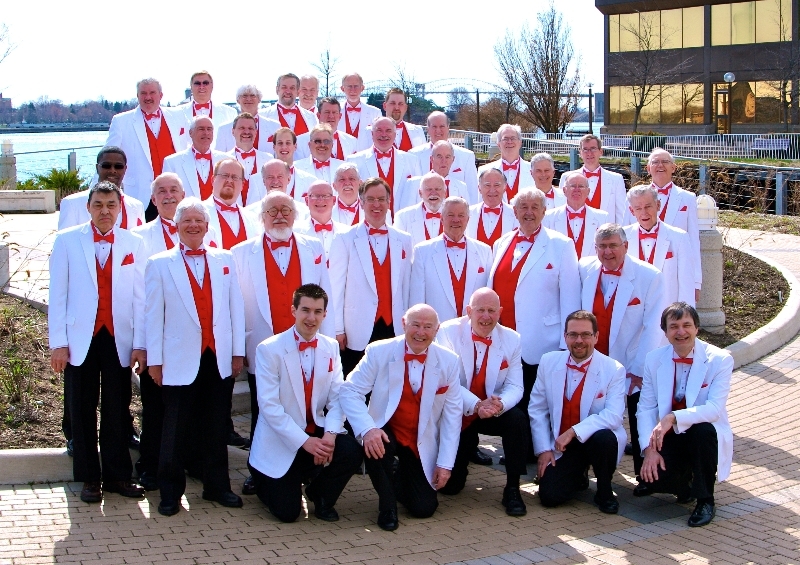 The Northland Barbershop Chorus is an extraordinary group of gentlemen who gather together weekly in celebration of the artform known as barbershop music. Founded in 1961, we are the Sault Ste. 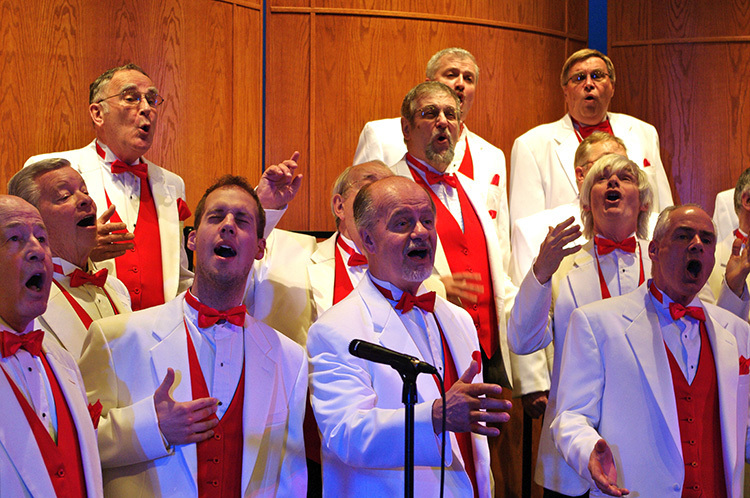 Marie ON chapter of the Barbershop Harmony Society. 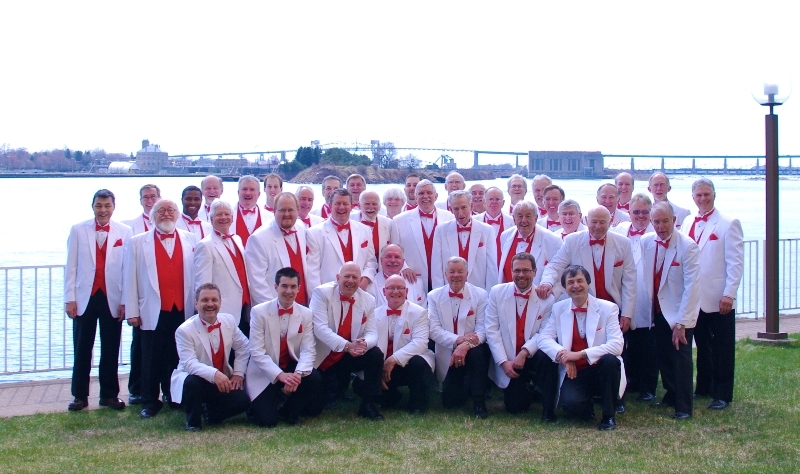 Ours is a bi-national chapter whose members reside in the twin cities of Sault Ste. Marie ON and MI and surrounding communities. Our Music Director is the energetic and always passionate Bob Shami, who inspires us to reach new heights with each performance. His motto: "Perfection is the goal, excellence will be tolerated!" We can be heard from Sept-June, singing for civic and charitable organizations, private groups, churches, community events, and fundraisers. Our annual show is typically held the first Saturday in April. We do not meet during the months of July and August. Do you sing? Do you want to be part of a special group of gentlemen? Find out how to Join Us! 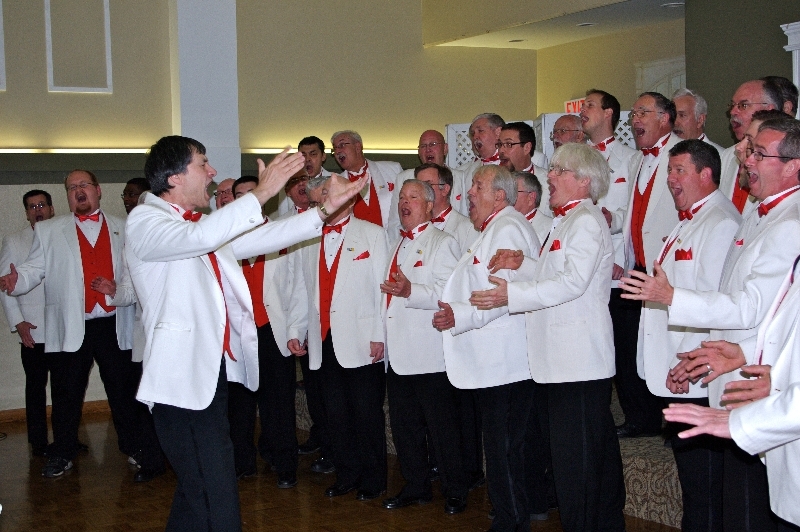 Looking for a chorus or quartet to sing at your next special event? Find out more about this amazing, original artform and our organization. 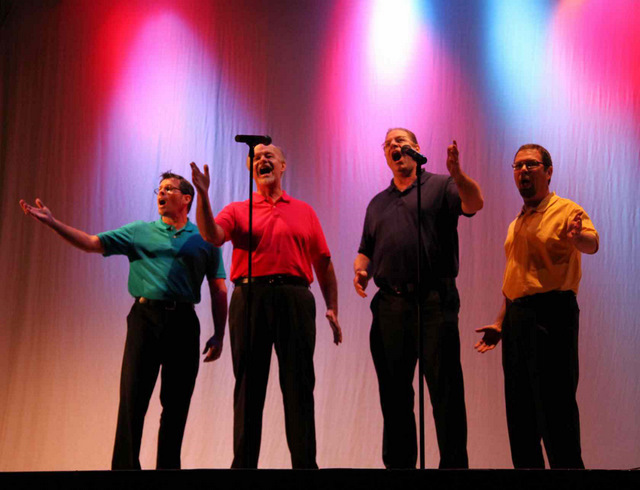 The Northland Barbershop Chorus has a number of great quartets. Check them out! Watch a few of our performance videos to get an idea of what close harmony is all about! View the photo gallery slideshow to check out our most recent pictures. Find out about this fabulous art form and the organization of barbershoppers on our What is Barbershop page. Salvation Army Citadel, 670 John St.